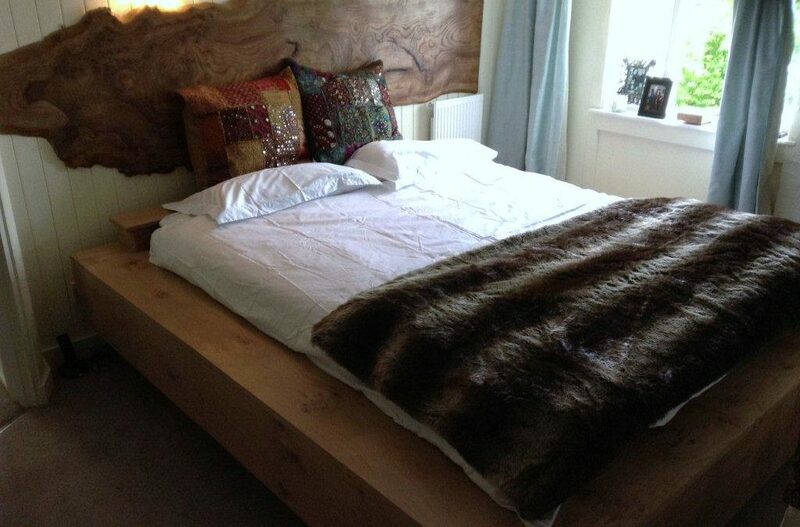 We were contacted by an interior designer to make a bespoke wooden bed, based on a 8ft square day bed, the result was a totally unique wooden bed, probably the only one of its kind. This bespoke bed shows,how once again the fantastic versatility of wood, an item of furniture so totally different to our natural edge furniture we are known for, but a thing of beauty non the less. 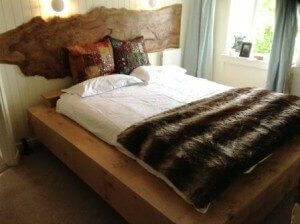 Request your own design bespoke bed and you can have a totally unique item, the possibilities are endless. 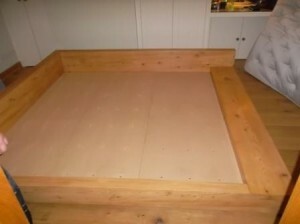 The picture above is a bespoke bed made of oak, the picture below is made of cedar. We contacted Fletch and Sharon who were working at the same time at our floating wooden dining table. Again Fletch immediately understood what we wanted to reach. He found a reasonable and beautiful way to realize this bed. Again their passion is reflected in their job and it is combined with a very professional attitude. I must admit this picture doesn’t give justice. The table and bed will be soon featured in Elle Decor italian version.